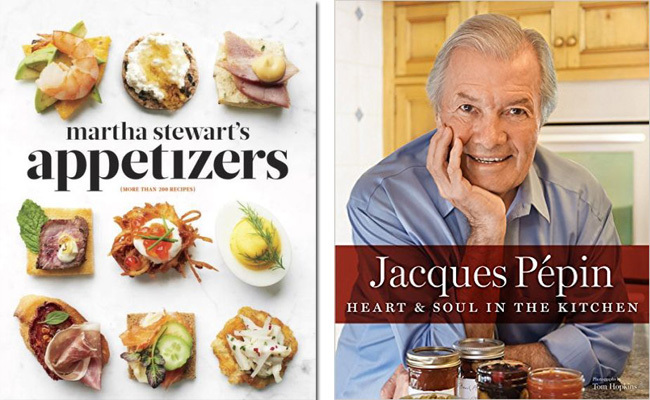 Last Sunday, Martha and chef Jacques Pepin were in Newport, Rhode Island, to promote their respective cookbooks: Appetizers and Heart & Soul in the Kitchen. 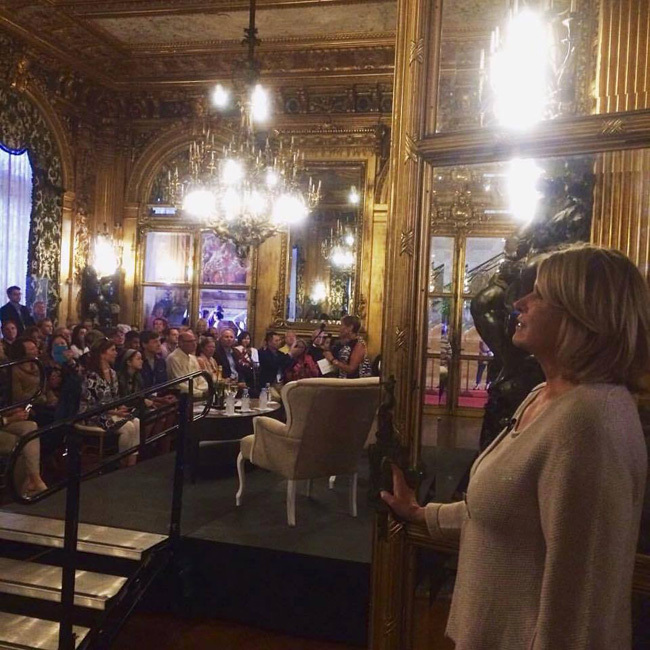 The two culinary giants, who are also friends, shared the stage for a Q&A at Marble House - the Gilded Age mansion formerly owned by Alva and William Kissam Vanderbilt, and now run by the Preservation Society of Newport County. Guests were treated to an informative and interesting discussion about their careers, food and entertaining. This was followed by a book-signing hosted by Martha. 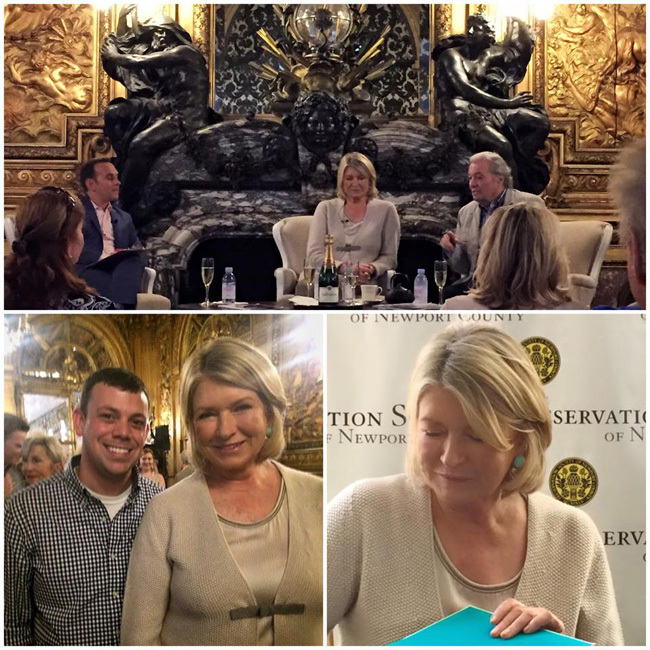 Martha Moments reader Anthony Picozzi, who has been featured on the blog before, attended the event and took several photos to share with fellow readers. 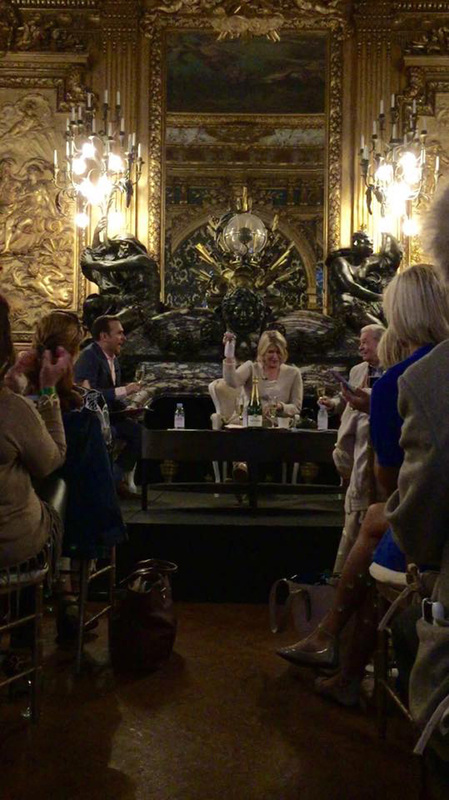 Martha and Jacques were seated in front of the very elaborate marble fireplace with the evening's host, Sal Rizzo. 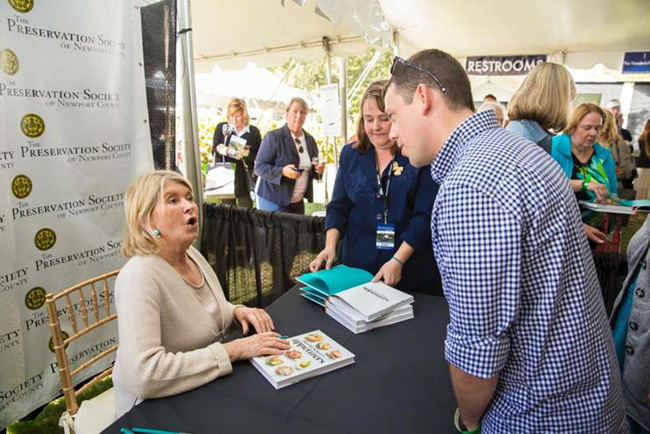 Anthony got to chat with Martha after the discussion and later had his copy of Appetizers signed by Martha. Anthony was introduced to Martha by a mutual friend of theirs who had shown Martha several photos of Anthony the night before. Martha jokingly scolded Anthony for not asking her a question during the audience Q&A! Martha mentioned that Appetizers is her 85th book. Everyone raised a glass to toast that success. Martha was very excited to hear that Anthony had photographed many of the mansions of Newport. You can see some of his photos in this post. Martha taking in the beauty of the mansion's great hall. Martha's book Appetizers is available now. Jacque's book will be released next week and is available for pre-order. Beautiful book signing event, an amazing book, I love it. I admire chef Jacques Pepin will check his book. I tried to visit Anthony's blog but it is not found anymore.